Meet this week's SPIE Faces of Photonics feature, Hemang Jani. Hemang is a graduate research assistant in the Department of Physics at the University of Alabama, Huntsville (UAH). He was born in India and is now working towards a Ph.D. in Optical Science and Engineering. Most of his time is spent in the Precision Ultrafast Light Sciences (PULS) group, but he is also a dedicated member of the SPIE Student Chapter at his university. In fact, he's the the vice president! Hemang attended SPIE Photonics West 2018 to present in the Ultrafast Phenomena and Nanophotonics conference. You can read his paper, "Femtosecond pump-probe study of negative electron affinity GaAs/AlGaAs photocathodes", on the SPIE Digital Library. Meet Canada-native and this week's SPIE Faces of Photonics feature, Madison Rilling. Madison is pursuing a PhD in Physics at Université Laval, in the Center for Optics, Photonics, and Lasers. She is also a part of the Université Laval’s Cancer Research Center. Both are located in Québec City, Canada. Madison is enthusiastic about science policy: "I am making my first steps in the world of science policy. I am -- or I try to be -- a strong advocate for next-generation scientists and women and girls in STEM." When she isn't in the lab, you’ll probably find Madison running, hiking, playing volleyball, or "...enjoying a good book in one hand and a tea in the other." 1. 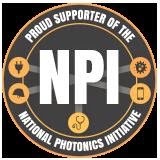 How did you become interested in the optics and photonics field?